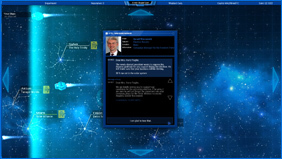 The player is able to create the layout for Spaceships with multiple decks within the boundaries of unlockable fuselages. He can choose between over 200 rooms and facilities for construction in categories like engines and thrusters, power and cooling supply, offense and defense, storgage, berthing, mining and emergency equipment, hull extensions and more. 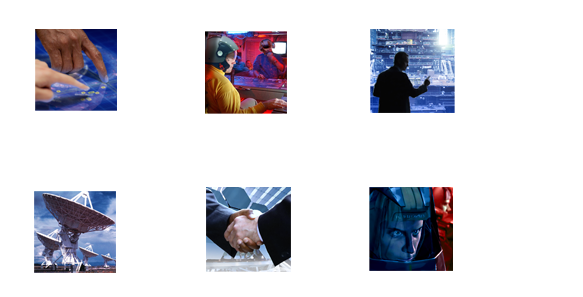 A completed design can then be challenged by playing a series of missions to test the crew's reaction to emergencies and the ships combat capabilities. The success of these missions determines the ships rating, important for a success in the marketplace or the ships performance in your own fleet. Rooms need to be monitored and repaired to keep the ship from falling apart. Leaving the vessel in a total breakdown of lifesuppport. Can the ship survive a head-on collision with space debris? A constant bombardment with rocks as big as houses. Fire is one of the greatest dangers on a ship. Can the technicians get the power back online before the air runs out? Strange organisms are eating up the ship. How many malfunctions get the technicians handle at the same time? Can the crew be healed fast enough after a major catastrophe? Electrical malfunctions all over the ship. Can your crew handle it? Enemy drones try to scan the ship. Block their progress. Different groups of pirates board the ship. A well trained boarding crew tries to take over. Parts of crew are on your side any more. What now? The crew wants to shut down the computer. Can you stop them? Can the ship escape or defeat an well-armed opponent? 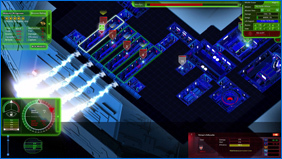 The better your ship design and its AI perform during the training missions, the better their rating will get. A good fulfill the customer's requirements, but also defines the outcome of emergencies encounters of ships in your own fleet, when travelling trough deep space. 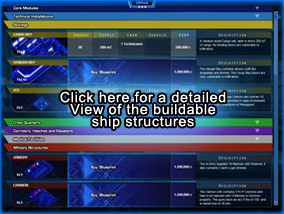 Build your designs for your own fleet or for a number of clients with different requirements and missions: shuttles or small cargo ships, huge interstellar transports and tankers, police and border patrol vessels, battleships, research vessels, route maintenance ships, colonizers, mining vessels, etc. Be the producer of qualtity vessels and you will take over the market! 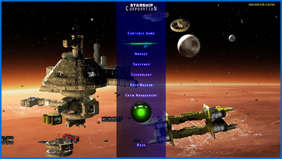 Become a powerful intergalactic corporation profiting from civil war and conflict between planets ruled by religious governments or prosper among the free societies in independent star systems, building gigantic ships with superior technology.